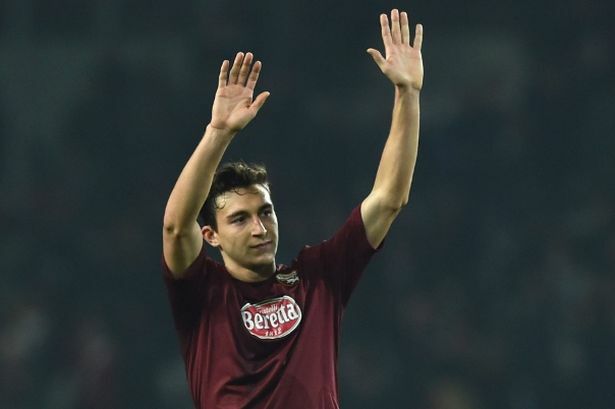 Manchester United have agreed a fee with Torino for Italy international right-back Matteo Darmian, according to Sky Italia sources. Talks between the clubs have been ongoing and, after rejecting United's first two bids, sources understand United have now met an asking price of £12.7m for the prized defender. Darmian is a versatile defender who is capable of playing in either full-back spot, though his favoured position is on the right, but also has experience at centre-half and at 6ft tall offers a strong aerial presence. The 25-year-old has emerged as one of the most promising young full-backs in Europe and United have moved swiftly to try to secure him. As well as being defensively sound, Darmian is quick and likes to push forward, which Van Gaal believes makes him the perfect fit for United. United are keen to get the deal done before Monday, when they embark on their two-and-a-half week pre-season tour of the US, with games in Seattle, San Fransisco, San Jose and Chicago. Torino president Urbano Cairo also wants Darmian’s future resolved before the Serie A team return for pre-season training on Sunday.